White plays 9.0-0-0 leaving the Bishop on f1 this is a serious alternative in the Yugoslav attack instead of 9. Bc4. 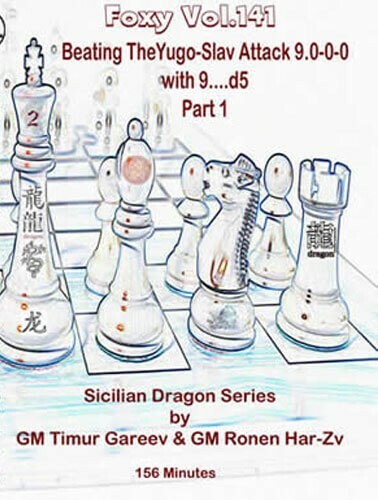 White goes immediately for a kingside attack while Black counters with 9…... d5 avoiding long forced tactical moves. 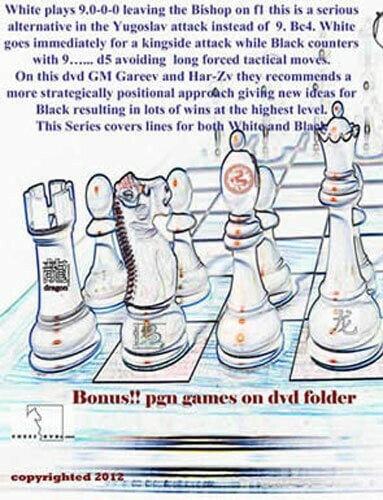 On this dvd GM Gareev and Har-Zv they recommends a more strategically positional approach giving new ideas for Black resulting in lots of wins at the highest level.